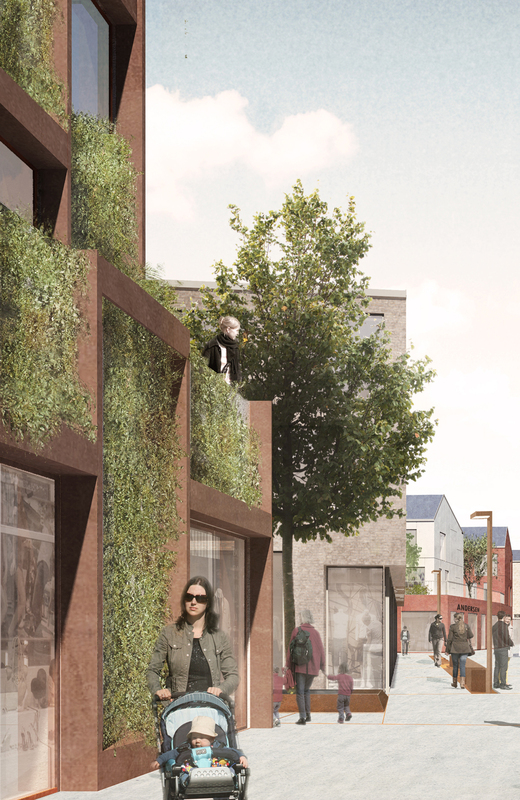 With the Green Half-Timbered House, we want to create a piece of vertical city landscape by making a building which uses planting and greenery on all its roofs and facades. A green façade gives the building an excellent microclimate, absorbs CO2 and dust from the city air and can become a habitat for many small animals and insects – supporting a sustainable urban ecosystem. The Green Half-Timbered House forms part of the new central shopping and station area of Køge Coast. This site lies between the old town and its small scale timber framed buildings, and the large industrial scale found in the buildings of the harbour. The design of the project responds to both architectural contexts: the external framing is inspired by the half-timber buildings of the old town while the materiality relates to the raw identity of the harbour through the use of corten steel and green planting on facades and roofs. The building’s form – mid scale, pitched roof and heavy facades – is in keeping with the surrounding development. 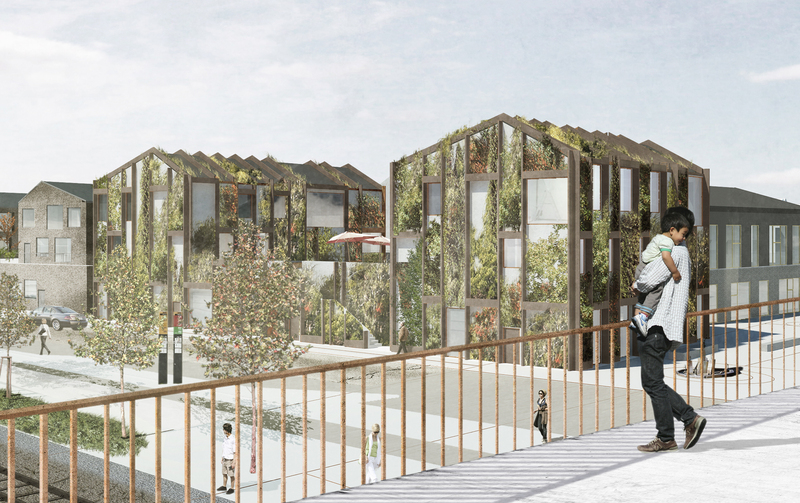 However, the particular use of planting and green facades will give the proposal a distinctive focus and function as a point of reference in the Køge Coast masterplan, creating a particular identity which can support special programmes and unique experiences.